Shingo Araki was a Japanese animation artist and character designer. Galaxy Express 999 is a manga written and illustrated in 1977 by Leiji Matsumoto, later adapted into a number of anime films and television series. It is set in a spacefaring, high-tech future in which humans have learned how to transfer their minds and emotions with perfect fidelity into mechanical bodies, thus achieving practical immortality. Robert Lawrence Balzer has been called the first serious wine journalist in the United States. He was born in Des Moines, Iowa. At the age of 24, he was put in charge of the wine department of his family’s grocery/gourmet market in Los Angeles, California. Because he knew nothing about wine, he quickly educated himself on the subject. Balzer soon championed quality California wines and stocked his shelves with the best American wines available. He promoted wine in his customer newsletter and was asked by Will Rogers, Jr. to write a regular wine column in his local newspaper in 1937. Bruno Bianchi was a French cartoonist and animation director. Bianchi worked extensively as an artist, director and producer on animated television productions; including Heathcliff, Iznogoud and most notably, Inspector Gadget, which he also co-created. Heathcliff is a French-Canadian-American animated television series that debuted on September 5, 1984. It was the second series based on the Heathcliff comic strip and was produced by DiC Audiovisuel. It ran in syndication until 1988 with a total of 86 episodes. 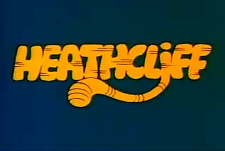 The first show based on the comic strip was Heathcliff and Dingbat / Heathcliff and Marmaduke, which debuted in 1980 and was produced by Ruby-Spears. The Catillacs Cats characters were created by Jean Chalopin and Bruno Bianchi. Animation was outsourced to many Japanese, Taiwanese, and Korean studios including TMS, Studio Korumi, Wang Film, Cuckoo's Nest, Mushi and others for the first season before DiC utilized their own, private Japanese studio to avoid paying other companies. Jalal Alamgir, was a Bangladeshi-American academic and an associate professor of political science at the University of Massachusetts-Boston and the son of Awami League Member of Parliament Muhiuddin Khan Alamgir. He specialised in the inter-relationships between globalisation and representational politics. He died in a drowning accident in Thailand on 3 December 2011. Dharamdev Pishorimal Anand, known as Dev Anand, was a noted Indian film actor, writer, director and producer known for his work in Indian cinema. He is considered as one of the greatest and most successful actors in the Indian film industry. Louky Bersianik was the pen name of Lucille Durand, a French-Canadian novelist. Mary Ellen Avery, also known as Mel, was an American pediatrician. In the 1950s, Avery's pioneering research efforts helped lead to the discovery of the main cause of respiratory distress syndrome (RDS) in premature babies: her identification of surfactant led to the development of replacement therapy for premature infants and has been credited with saving over 830,000 lives. Her childhood, mentors, drive, and education inspired Avery to be the visionary that she was. In 1991 President George H.W. Bush conferred the National Medal of Science on Avery for her work on RDS. Ambika Charan Choudhury was a noted Assamese litterateur, historian and activist from Bongaigaon in Assam. Popularly he is known as Kamataratna. Marion Caroline Dougherty was an American casting director. She is known for casting films such as The World of Henry Orient, Midnight Cowboy, Me, Natalie, Panic in Needle Park, Grease, Urban Cowboy, The World According to Garp, and Batman. She is also the primary subject of the 2012 documentary Casting By. Daniel Upshaw "Dan" Biggers was an American college official and actor best known for his role as Frank "Doc" Robb on the television series In the Heat of the Night. In the Heat of the Night is an American drama television series based on the 1967 film and the 1965 novel of the same title. It starred Carroll O'Connor as police chief William Gillespie and Howard Rollins as police detective Virgil Tibbs, and was broadcast on NBC from March 6, 1988 until May 19, 1992, then on CBS from October 28, 1992 until May 16, 1995. Its executive producers were Fred Silverman, Juanita Bartlett and O'Connor. ↑ "Shingo Araki, dessinateur des Chevaliers du Zodiaque, Cat's Eyes, Ulysse 31, est décédé". L'Express (in French). December 1, 2011. Retrieved February 12, 2013. ↑ "Pioneering surgeon Eric Arnott dies". EuroTimes. December 1, 2011. Archived from the original on April 26, 2012. Retrieved February 12, 2013. ↑ "Arthur Beetson dead: Heart attack claims rugby league legend". Herald Sun . Melbourne. December 1, 2011. ↑ "Tragedie În Cinematografie: Andrei Blaier a murit. Vezi ce spun cineaştii despre marele regizor". România Liberă (in Romanian). December 1, 2011. Retrieved February 12, 2013. ↑ "Sister of Troy Davis dies". The Atlanta Journal-Constitution . December 1, 2011. Retrieved February 12, 2013. ↑ Ritzau (December 10, 2011). "Århundredets danske sportskvinde er død". Kristeligt Dagblad . Archived from the original on February 6, 2012. Retrieved February 12, 2013. ↑ "Theodore "Ted" Lapka Obituary". Chicago Sun-Times . December 3, 2011. Retrieved February 12, 2013. ↑ Susannah Frankel (December 2, 2011). "Farewell to man who gave haute couture its shimmer". The Independent . London. Retrieved February 12, 2013. ↑ "Bill McKinney, Deliverance's Mountain Man and Eastwood Sidekick, Dead at 80". E! Online. Retrieved February 12, 2013. ↑ "Shock as Mr Ebbo dies at 37". The Citizen . December 2, 2011. Archived from the original on April 29, 2012. Retrieved February 12, 2013. ↑ Martin, Douglas (December 1, 2011). "Louis Silverstein, Times Art Director, Dies at 92". The New York Times . ↑ Slotnik, Daniel E. (December 2, 2011). "Alan Sues, a 'Laugh-In' Cast Mainstay, Dies at 85". The New York Times . ↑ "Football : Hippolyte van den Bosch". Footballdatabase.eu. Retrieved February 12, 2013. ↑ Binder, David; Weber, Bruce (December 1, 2011). "Christa Wolf Dies at 82; Wrote of the Germanys". The New York Times . ↑ Fox, Margalit (December 5, 2011). "Elisabeth Young-Bruehl, Who Probed Roots of Ideology and Bias, Dies at 65". The New York Times . ↑ "Robert Lawrence Balzer: 1912-2011". Winebusiness.com. December 2, 2011. Retrieved February 12, 2013. ↑ Arrant, Chris (December 2, 2011). "French Animator Bruno Bianchi ("Inspector Gadget") Passes Away". Cartoon Brew. Archived from the original on January 12, 2012. Retrieved February 12, 2013. ↑ "Bishop Lolesio (Laurent) Fuahea". Catholic-Hierarchy.org . David M. Cheney. Retrieved January 21, 2015. ↑ "115-year-old Chiyono Hasegawa, Oldest Person in Japan Has Died". Extremelongevity.net. Archived from the original on April 29, 2013. Retrieved February 12, 2013. ↑ Damir Mrvec (December 3, 2012). "Umro ponajbolji hrvatski rukometaš Pavle Jurina (57)". Večernji list (in Croatian). Retrieved February 12, 2013. ↑ Mark Espiner (December 3, 2011). "Christopher Logue obituary". The Guardian . London. Retrieved February 12, 2013. ↑ Eric Foner (December 11, 2011). "David Montgomery obituary". The Guardian . London. Retrieved February 12, 2013. ↑ "Faleceu Artur da Silva Quaresma Barreiro Internacional e Campeao Nacional pelo FC Os Belenens" (in Portuguese). Rostos.pt. December 3, 2011. Retrieved February 12, 2013. ↑ "Bishop Patrick Joseph Thomas Sheridan". Catholic-Hierarchy.org . David M. Cheney. Retrieved January 21, 2015. ↑ "Ukulele legend Bill Tapia dies at 103". MSNBC . Retrieved February 12, 2013. ↑ Tate, Howard. "Howard Tate, Soul Singer, Dies At 72 : The Record". NPR . Retrieved February 12, 2013. ↑ "Dr Jalal Alamgir drowns in sea in Thailand". The Daily Star . December 4, 2011. Retrieved February 12, 2013. ↑ "Legendary Bollywood actor Dev Anand dies of heart attack in London". NDTV. December 4, 2011. Retrieved February 12, 2013. ↑ "Écrivaine québécoise - Louky Bersianik s'est éteinte à l'âge de 81 ans" (in French). Canoe.ca. April 23, 2009. Retrieved February 12, 2013. ↑ "Xterminator producer Philip 'Fattis' Burrell is dead - Entertainment". The Jamaica Observer . December 4, 2011. Archived from the original on February 26, 2012. Retrieved February 12, 2013. ↑ Unknown (December 12, 2011). "Ein Opfer deutscher Spielplanpolitik – Nachruf auf den Tod des Dichters Ernst-Jürgen Dreyer" (in German). Musenblätter. Retrieved February 12, 2013. ↑ "Ndahet nga jeta Sabri Godo - Top Channel" (in Albanian). Top-channel.tv. Retrieved February 12, 2013. ↑ "Karl-Axel Karlsson - Skyttesport" (in Swedish). Swedish Olympic Committee. Archived from the original on February 13, 2013. Retrieved February 12, 2013. ↑ Jim Morton (December 3, 2011). "Australian cricket great Sam Loxton dies". The Sydney Morning Herald . Retrieved February 12, 2013. ↑ Barnes, Mike (December 6, 2011). "Don Rickles' Only Son Dies at 41". The Hollywood Reporter . Retrieved February 12, 2013. ↑ "Fallece exlíder nacional del PRI y exgobernador de Campeche". Proceso . December 3, 2011. Retrieved February 12, 2013. ↑ "Where are they now? « The World Championship drivers (S)". Oldracingcars.com. Retrieved February 12, 2013. ↑ Postado por Júlio (February 23, 1917). "Sala de Guerra: Nota de Falecimento: Heinrich Sonne" (in Portuguese). Saladeguerra.blogspot.com. Retrieved February 12, 2013. ↑ "Mary Ellen Avery M.D. Obituary:". Courier-Post . December 7, 2011. Retrieved February 12, 2013. ↑ "Obituary: Major Allan Cameron MBE - Highlander who serve his country and community with pride and passion". The Scotsman . December 22, 2011. Retrieved February 12, 2013. ↑ Our Correspondent (December 5, 2011). "Scholar dies in road accident". The Telegraph . Calcutta. Retrieved February 12, 2013. ↑ Hevesi, Dennis (December 7, 2011). "Marion Dougherty, Hollywood Star-Maker, Dies at 88". The New York Times . ↑ Lublin, Joann S. (December 6, 2011). "Former H-P Chairman Patricia Dunn Has Died". The Wall Street Journal . Retrieved February 12, 2013. ↑ "Adam Hanuszkiewicz, wybitny aktor i reżyser teatralny, odszedł w wieku 87 lat" (in Polish). Polska Newsweek. January 1, 1970. Archived from the original on January 8, 2012. Retrieved February 12, 2013. ↑ "Kirjailija Matti Yrjänä Joensuu on kuollut" (in Finnish). yle.fi. December 5, 2011. Archived from the original on January 20, 2012. Retrieved February 12, 2013. ↑ "Besim Kabashi tot: Todesursache bisher unklar - München". Bild (in German). December 4, 2011. Retrieved February 12, 2013. ↑ Kevin Norquay (December 6, 2011). "Alamein Kopu: Former MP Dies". Stuff.co.nz. Retrieved February 12, 2013. ↑ "Former UMD coach Malosky dies". Star Tribune . December 4, 2011. Retrieved February 12, 2013. ↑ "Carib Creole News - Le Panorama CCN de l'actu en RĂŠpublique Dominicaine". Caraibcreolenews.com. Archived from the original on January 19, 2013. Retrieved February 12, 2013. ↑ "RJ Rosales of Miss Saigon fame passes away". Philippine Sentinel. Retrieved April 1, 2019. ↑ "Brazil legend Socrates dies aged 57". Goal.com. December 4, 2011. Retrieved February 12, 2013. ↑ White, Jim (December 4, 2011). "Blues guitar great Hubert Sumlin dies". Pittsburgh Post-Gazette . Retrieved February 12, 2013. ↑ Интерфакс (April 27, 2007). "В США умер известный советский диссидент, физик Андрей Твердохлебов" (in Russian). Gazeta.ru . Retrieved February 12, 2013. 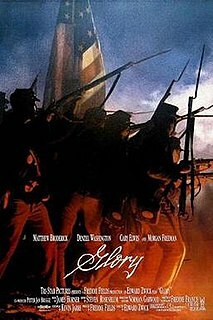 ↑ "Actor and director of Historic Berry, Dan Biggers has died". Rome News-Tribune . January 9, 2012. Archived from the original on April 30, 2012. Retrieved February 12, 2013. ↑ "Michel Descombey". Find a Grave. ↑ Marquard, Bryan (December 6, 2011). "Paul Doty, 91, presidential adviser on nuclear arms control". The Boston Globe . Retrieved February 12, 2013. ↑ "Ex-transport minister Fuyushiba passed away". House of Japan. December 6, 2011. Archived from the original on April 18, 2015. Retrieved February 12, 2013. ↑ "Peter Gethin, winner of the 1971 Italian Grand Prix, dies aged 71 - F1 news". Autosport.Com. December 5, 2011. Retrieved February 12, 2013. ↑ "Bishop Jorge Maria Hourton Poisson". Catholic-Hierarchy.org . David M. Cheney. Retrieved January 21, 2015. ↑ "Russian legend Gennady Logofet passes away aged 69". goal.com. December 5, 2011. Retrieved June 19, 2013. ↑ "Pirates' Lonnett was a man who valued family". Pittsburgh Tribune-Review . December 8, 2011. Archived from the original on September 7, 2012. Retrieved February 12, 2013. ↑ "Animator Dan Mills dies at 80". Variety . December 15, 2011. Retrieved February 12, 2013. ↑ "World's Oldest Dog Dies at Age 26". ABC News. December 6, 2011. Retrieved February 12, 2013. ↑ "Bill Stits (1931 - 2011) - Find A Grave Memorial". Find a Grave . Retrieved February 12, 2013. ↑ Irene Gallo (December 5, 2011). "Darrell K. Sweet, 1934-2011". Tor.com . Retrieved February 12, 2013. ↑ Cycling Archives. "Georges Talbourdet". ↑ "Polish super-diva Violetta Villas dies". Radio Poland. December 6, 2011. Retrieved February 12, 2013. ↑ "Obituary: Vicountess (sic) Whitelaw of Penrith, former ATS volunteer who, as wife of Tory MP, devoted herself to charity campaigns". The Scotsman . December 15, 2011. Retrieved February 12, 2013. ↑ "John T. Banks Sr. Obituary". Courier-Post . December 14, 2011. Retrieved February 12, 2013. ↑ Bob Baptist (December 7, 2011). "Brent Darby | 1981-2011: Former Buckeye called 'winner'". The Columbus Dispatch . Archived from the original on December 9, 2012. Retrieved February 12, 2013. ↑ "Tony Fell". The Daily Telegraph . London. December 13, 2011. Retrieved February 12, 2013. ↑ Elaine Woo (December 11, 2011). "Ron Fletcher dies at 90; opened West Coast's first Pilates studio". Los Angeles Times . Retrieved February 12, 2013. ↑ "Woman who was oldest living Canadian dies at 112 - British Columbia". CBC News. December 13, 2011. Retrieved February 12, 2013. ↑ "Singer, Songwriter Dobie Gray Passes Away". WTVF. December 6, 2011. Archived from the original on February 10, 2013. Retrieved February 12, 2013. ↑ "Roy Orbison's widow dies on anniversary of singer's death". CBS News. December 7, 2011. Retrieved February 12, 2013. ↑ "Murió Paul Ramírez, ex jugador de la Sub 20 - Deportes". Últimas Noticias (in Spanish). August 28, 2012. Archived from the original on January 17, 2012. Retrieved February 12, 2013. ↑ "Lawrie Tierney". Heart of Midlothian F.C. December 6, 2011. Archived from the original on January 13, 2012. Retrieved February 12, 2013. ↑ "Aviation pioneer Pearse Cahill dies aged 95". RTÉ News and Current Affairs. December 9, 2011. Retrieved February 12, 2013. ↑ Matt Wright (December 10, 2011). "Club saddened by Croker's death". Charlton Athletic F.C. Archived from the original on January 28, 2012. Retrieved September 22, 2014. ↑ "Welcome to Heart To Heart". Heart to Heart International. July 8, 2012. Archived from the original on March 5, 2013. Retrieved February 12, 2013. ↑ Barnes, Mike (November 17, 2011). "Tom Kennedy, Veteran Creative Advertising Exec, Dies at 63". The Hollywood Reporter . Retrieved February 12, 2013. ↑ "Former Macau governor Melo Egídio passes away". Macau Daily Times . Archived from the original on June 10, 2012. Retrieved February 12, 2013. ↑ Pollak, Michael (December 7, 2011). "Harry Morgan, 'M*A*S*H' and 'Dragnet' Actor, Dies at 96". The New York Times . ↑ "Elizabeth Ray". Houston Chronicle . December 13, 2011. Retrieved February 11, 2013. ↑ "jerry robinson". USA Today . December 8, 2011. Retrieved February 12, 2013. ↑ "Charles Russell: obituary and death notice on InMemoriam". Inmemoriam.ca. Retrieved February 12, 2013. ↑ "T.A. (Tonny) Springer". Department of Mathematics, Utrecht University. Archived from the original on January 19, 2012. ↑ Stuart Jeffries (December 9, 2011). "Gilbert Adair obituary". The Guardian . London. Retrieved February 12, 2013. ↑ "Georgia politics and government". The Atlanta Journal-Constitution . February 8, 2013. Retrieved February 12, 2013. ↑ "Former Charger LB Lew Bush dead at 42 | UTSanDiego.com". San Diego Union-Tribune . December 8, 2011. Retrieved February 12, 2013. ↑ Michelle Grattan and Michael Gordon (December 9, 2011). "Sir Zelman Cowen Dies Aged 92 | Governor-general 'Healed' A Nation". The Sydney Morning Herald . Retrieved February 12, 2013. ↑ "Umro Vinko Cuzzi u 72. godini života". Večernji list (in Croatian). Retrieved February 12, 2013. ↑ lefigaro.fr (December 8, 2011). "TV: Ladislas de Hoyos est mort". Le Figaro (in French). AFP. Retrieved February 12, 2013. ↑ "Vietnamese actor Don Duong dies". Variety . December 13, 2011. Retrieved February 12, 2013. ↑ Estep, Bill (December 9, 2011). "Gene Huff, Kentucky legislator, pastor and radio station owner, dies at 82 | Obituaries". Lexington Herald-Leader . Archived from the original on January 27, 2013. Retrieved February 12, 2013. ↑ "Magazine agony aunt with independent streak". Henley Standard . August 28, 2012. Archived from the original on August 19, 2014. ↑ "Lutto nel calcio: è morto Giorgio Mariani - Calcio, 2011-2012, Seriea" (in Italian). Datasport.it. Archived from the original on January 10, 2012. Retrieved February 12, 2013. ↑ "作曲家の三木稔さんが死去 オペラや現代邦楽 - 47NEWS（よんななニュース）" (in Japanese). 47news.jp. December 8, 2011. Archived from the original on December 21, 2011. Retrieved February 12, 2013. ↑ "Bishop Andrew Pataki". Catholic-Hierarchy.org . David M. Cheney. Retrieved January 21, 2015. ↑ The Sports Network (July 21, 1926). "Football Championship Subdivision". The Sports Network. Archived from the original on May 24, 2015. Retrieved February 13, 2013. ↑ Cashman, Greer Fay (December 8, 2011). "Veteran journalist and broadcaster Nakdimon Rogel dies". The Jerusalem Post . Retrieved February 13, 2013. ↑ "Lord Suffield". Telegraph.co.uk. January 11, 2012. ↑ "Alf R. Bjercke er død". Aftenposten (in Norwegian). Retrieved February 13, 2013. ↑ "Jacques Debary était le commissaire Cabrol". Le Parisien (in French). December 13, 2011. Retrieved February 13, 2013. ↑ "השחקנית דוידה קרול נפטרה בגיל 94" (in Hebrew). Ynet. June 20, 1995. Retrieved February 13, 2013. ↑ Do G1 BA, com informações da TV Bahia. "G1 - Capoeiristas dão último adeus ao mestre João Pequeno na Bahia - notícias em Bahia" (in Portuguese). Globo.com . Retrieved February 13, 2013. ↑ "Pompey Mourn Len Phillips". Portsmouth F.C. Archived from the original on April 6, 2012. Retrieved February 13, 2013. ↑ Jim Doyle (December 12, 2011). "Richard J. Rabbitt, former Missouri House Speaker, dead at 76". St. Louis Post-Dispatch . Retrieved February 13, 2013. ↑ "England news: Lancashire great Roy Tattersall dies aged 89". ESPN Cricinfo. December 9, 2011. Retrieved February 13, 2013. ↑ "Kansas City Jazz Singer And Wild Woman Myra Taylor Dead At 94". podcastdirectory.com. December 10, 2011. Archived from the original on December 8, 2015. ↑ "Longtime state lawmaker Cary Allred dies at 64". WRAL-TV. December 11, 2011. Retrieved February 13, 2013. ↑ Charles S. Johnson (December 10, 2011). "Jean Baucus, mother of Sen. Max Baucus, dies at 94 in Helena". Missoulian . Retrieved February 13, 2013. ↑ "Former India footballer dies". Cath News India. December 12, 2011. Archived from the original on January 12, 2012. ↑ "John Gower Obituary". Green Bay Press-Gazette . December 11, 2011. Retrieved February 13, 2013. ↑ "U 73. godini umrla Vida Jerman, fatalna Marijana iz Tko pjeva..." Večernji list (in Croatian). December 11, 2011. Retrieved February 13, 2013. ↑ "Albert Overhauser Obituary". Journal & Courier . Lafayette, Indiana. December 12, 2011. Retrieved February 13, 2013. ↑ Greenhouse, Steven (December 14, 2011). "Stephen Schlossberg, Official of U.A.W. and Labor Dept., Dies at 90". The New York Times . ↑ Fortnow, Lance (January 25, 2012). "Computational Complexity: Ernst Specker (1920-2011)". Blog.computationalcomplexity.org. Retrieved February 13, 2013. ↑ "Douglas Stephens". Royal Australasian College of Surgeons. January 30, 2013. Retrieved February 13, 2013. ↑ "Journalist murdered in New Zealand street attack". BBC News. December 11, 2011. Retrieved February 13, 2013. ↑ "الاسماعيلي يودع نجمه السابق ميمي درويش" (in Arabic). Gn4me.com. Archived from the original on January 18, 2012. Retrieved February 13, 2013. ↑ "The "Voice" Is Called Home - Cardinal Foley Dies at 76". Whispers in the Loggia. December 11, 2011. Retrieved February 13, 2013. ↑ "Susan Gordon dies at 62". Variety . December 14, 2011. Retrieved February 13, 2013. ↑ Emily Langer (December 14, 2011). "J. Lynn Helms, FAA chief during 1981 air traffic controllers strike, dies at 86". The Washington Post . Retrieved February 13, 2013. ↑ "Mabel, Holle, obituary, death". AAGPBL. December 14, 2011. Retrieved February 13, 2013. ↑ "Marxistischer Philosoph Hans Heinz Holz tot - Frankfurt". Bild (in German). December 12, 2011. Retrieved February 13, 2013. ↑ "Aussie acting veteran Harold Hopkins dies". Nine News. December 11, 2011. Archived from the original on May 4, 2012. Retrieved February 13, 2013. ↑ "Eric Howlett". High Tech History. Archived from the original on September 26, 2013. Retrieved February 13, 2013. ↑ "Noted Chinese poet Ke Yan dies at 82". English.people.cn. Xinhua. December 14, 2011. Retrieved February 13, 2013. ↑ "Turizm ve Tanıtma eski Bakanı Dr. Ahmet İhsan Kırımlı hayatını kaybetti haberi" (in Turkish). Internethaber. December 11, 2011. Retrieved February 13, 2013. ↑ "Leonida Lari, keen supporter of Romanian-Moldovan union, dies". Nine O'Clock . December 11, 2011. ↑ "Cartoonist Mario Miranda dies at 85". IBL Live. December 11, 2011. Retrieved February 13, 2013. ↑ "Bonnie Prudden Obituary". Arizona Daily Star . December 18, 2011. Retrieved February 13, 2013. ↑ "Veteran Telugu film producer MS Reddy dies". Hindustan Times . December 11, 2011. Archived from the original on December 13, 2011. Retrieved February 13, 2013. ↑ Duro Ikhazuagbe (December 13, 2011). "AFN Technical Director, Sunday Bada, Is Dead". Thisday. Archived from the original on January 6, 2012. Retrieved February 13, 2013. ↑ Branch, Eric (December 20, 2011). "Former 49ers WR Conner dies at 78". SFGate . Retrieved February 13, 2013. ↑ Bret Johnson (December 17, 2011). "John Gardner obituary". The Guardian . London. Retrieved February 13, 2013. ↑ "Lohrer dies at 93". International Ice Hockey Federation. December 22, 2011. Archived from the original on January 17, 2012. Retrieved February 13, 2013. ↑ "Argentine actor Alberto de Mendoza dies at 88". Buenos Aires Herald . December 12, 2011. Retrieved February 13, 2013. ↑ "Mălina Olinescu a murit. Cântăreaţa a căzut de la etajul şase al blocului în care locuia" (in Romanian). Mediafax. December 12, 2011. Retrieved February 13, 2013. ↑ "Dec 12 Former Chief Minister Robert Peliza has Passed Away". Yourgibraltartv.com. December 12, 2011. Retrieved February 13, 2013. ↑ Dagan, Carmel (December 13, 2011). "Bert Schneider dies at 78". Variety . Retrieved February 13, 2013. ↑ Frantisek Janda (December 13, 2011). "Information Letter no. 35-2011: Merih Sezen" (PDF). European Fencing Confederation. ↑ "Randy Stein Obituary". The San Bernardino Sun . December 15, 2011. Retrieved February 13, 2013. ↑ Bernstein, Fred A. (December 20, 2011). "Gene Summers, Architect With Mies van der Rohe, Dies at 83". The New York Times . ↑ "T.J. Bass (1932-2011)". Locus. December 14, 2011. Retrieved February 13, 2013. ↑ "Actor Graham Brown dies at 87". Variety . December 18, 2011. Retrieved February 13, 2013. ↑ Rakib Ahammed (December 14, 2011). "Kabir Chowdhury passes away". The Daily Star . Retrieved November 27, 2015. ↑ Alison Flood (December 14, 2011). "Russell Hoban, cult author, dies aged 86". The Guardian . London. Retrieved February 13, 2013. ↑ Hevesi, Dennis; Sang-Hun, Choe (December 13, 2011). "Park Tae-joon, Founder of a Giant in Steel, Dies at 84". The New York Times . ↑ "Gladbacher Fohlen: Zweimaliger WM-Teilnehmer Sieloff gestorben". Der Spiegel (in German). December 14, 2011. Retrieved February 13, 2013. ↑ Fox, Margalit (December 13, 2011). "Erica Wilson Dies at 83; Led a Rebirth of Needleworking". The New York Times . ↑ Dennis McLellan (March 24, 1998). "Roy L. Ash obituary: Former Litton president, OMB director dies at 93". Los Angeles Times . Retrieved February 13, 2013. ↑ "Party leader mourns 'one of UKIP's greatest servants'". This is Devon. December 22, 2011. Retrieved February 13, 2013. ↑ "Milano, muore travolto da auto un ex olimpionico della scherma". la Repubblica (in Italian). December 14, 2011. Retrieved February 13, 2013. ↑ Hevesi, Dennis (December 15, 2011). "Boris Chertok, Russian Rocket Engineer, Dies at 99". The New York Times . ↑ "Falleció Pedro Febles, figura de la vinotinto de los años ochenta". El Nacional . December 15, 2011. Archived from the original on February 15, 2012. ↑ "Karl-Heinrich Von Groddeck Statistics". The Sports Archives. Retrieved September 22, 2014. ↑ Gabe Bullard (December 14, 2011). "Former Archbishop Thomas C. Kelly Dies". WFPL. Archived from the original on May 13, 2012. ↑ "Arthur King 1927-2011". The Cruelest Sport. ↑ Matt Friedman (December 14, 2011). "Former Assemblywoman Carol Murphy dies at 78". The Star-Ledger . Retrieved February 13, 2013. ↑ "Bishop Mark Francis Schmitt". Catholic-Hierarchy.org . David M. Cheney. Retrieved January 21, 2015. ↑ Ronald Bergan (December 20, 2011). "Don Sharp obituary". The Guardian . London. Retrieved February 13, 2013. ↑ "Joe Simon, co-creator of Captain America, dies". USA Today . December 15, 2011. Retrieved February 13, 2013. ↑ Fowler, Tara. "'Blanket on the Ground' singer Billie Jo Spears has died | The Music Mix | EW.com". Music-mix.ew.com. Retrieved February 13, 2013. ↑ "Founder of famed Paris English bookshop dies". The Local. December 14, 2011. Archived from the original on July 1, 2012. Retrieved February 13, 2013. ↑ "James A. Zimble, Fourth Uniformed Services University President and former Navy Surgeon General, Dies". Newswise.com. December 16, 2011. Retrieved February 13, 2013. ↑ "Longtime DC Artist Eduardo Barreto, Passes At 57 - Bleeding Cool Comic Book, Movies and TV News and Rumors". Bleeding Cool. December 15, 2011. Retrieved February 13, 2013. ↑ Fox, Margalit (December 31, 2011). "Emmett L. Bennett Jr., Expert on Ancient Script, Dies at 93". The New York Times . p. A24. ↑ Keepnews, Peter (December 18, 2011). "Bob Brookmeyer, Jazz Musician and Educator, Dies at 81". The New York Times . ↑ Bryan Hoch (January 4, 2012). "Andy Carey, helped preserve Don Larsen's perfecto, dies". MLB.com. Retrieved February 13, 2013. ↑ "Walter Giller biography". IMDb. ↑ Weiner, Juli (December 15, 2011). "In Memoriam: Christopher Hitchens, 1949–2011". Vanity Fair . Retrieved February 13, 2013. ↑ Deborah Dash Moore (December 15, 2011). "Paula Hyman, Jewish Historian, Dies at 65". The Forward . Retrieved February 13, 2013. ↑ "Remo: Murió Ricardo Ibarra" (in Spanish). ESPN Deportes. January 1, 2008. Retrieved February 13, 2013. ↑ "Le décès de Guy Ignolin, l'ancien champion cycliste" (in French). ouest france. December 15, 2011. Retrieved February 13, 2013. ↑ "Investigative journalist shot dead in Russian province". The Daily Telegraph . London. December 16, 2011. Retrieved February 13, 2013. ↑ Herbert Kesel, Sports-Reference / Olympic Sports. Retrieved 2019-04-01. ↑ "Former Pak Air Force Chief passes away". The Hindu . Chennai, India. Press Trust of India. December 16, 2011. Retrieved February 14, 2013. ↑ "Frank X. McDermott". The Star-Ledger . December 17, 2011. Retrieved February 14, 2013. ↑ Nick Malawskey (December 19, 2011). "James Quigley, former U.S. Rep. who represented Camp Hill, dies at 93". The Patriot-News . Retrieved February 14, 2013. ↑ Paul Gover (December 17, 2011). "V8 star Jason Richards loses battle with cancer at age 35". Herald Sun . ↑ Andrew Hornery (December 17, 2011). "Murphy's law puts Twitter on the case". The Sydney Morning Herald . Retrieved February 14, 2013. ↑ "Fallece ex luchador olímpico Mario Tovar". La Crónica de Hoy (in Spanish). December 17, 2011. Archived from the original on December 8, 2015. ↑ Harald Stanghelle (December 16, 2011). "Tegneren Ulf Aas er død". Aftenposten (in Norwegian). Retrieved February 14, 2013. ↑ Fox, Margalit (December 24, 2011). "Robert Easton, Accent Coach, Dies at 81". The New York Times . ↑ "Kojak actor Dan Frazer dies at 90". BBC News. December 19, 2011. ↑ "Former Fine Gael firebrand and thorn in leader's side passes away". Irish Independent . ↑ 社会 - 毎日ｊｐ(毎日新聞). Mainichi Shimbun (in Japanese). Archived from the original on January 14, 2012. Retrieved August 19, 2013. ↑ "Kitchener". The Daily Telegraph . London. ↑ "נפטר המלחין מרק קופיטמן" (in Hebrew). Reshet Bet. December 16, 2011. Retrieved August 19, 2013. ↑ J. M. Brown. "Bert Muhly, former Santa Cruz mayor and icon of progressive politics, dies at 88". San Jose Mercury News . Retrieved August 19, 2013. ↑ Chris Hawley. "Patrick V. Murphy Obituary". Associated Press. Retrieved August 19, 2013. ↑ Verne Gay (December 20, 2011). "Michele o'Callaghan tributes on Letterman, Olbermann". Newsday . Retrieved August 19, 2013. ↑ "Paekiomeka Ruha". Tributes Online. Retrieved August 19, 2013. ↑ "LDS general authority Elder Keith Wilcox dies at 90". Deseret News . December 18, 2011. Retrieved August 19, 2013. ↑ "Nicol Williamson: Mercurial and brilliant actor whose career was undermined by his flaws". The Independent . London. January 26, 2012. ↑ "Wakefield Trinity veteran's funeral date". Wakefield Express . December 22, 2011. Retrieved August 19, 2013. ↑ "Fricker, Marian (Wohlwender) (3/13/1922 - 12/17/2011)". AAGPBL. ↑ "Bishop Michael Gower Coleman". Catholic-Hierarchy.org . David M. Cheney. Retrieved January 21, 2015. ↑ "Beauty queen dead at 28". The Sydney Morning Herald . December 19, 2011. ↑ "Singer Cesaria Evora dies at the age of 70". BBC News. December 17, 2011. ↑ "Maurice Huggett". The Daily Telegraph . December 21, 2011. ↑ "North Korean leader Kim Jong-il dies 'of heart attack'". BBC News. December 19, 2011. ↑ "Bevo Beat". Austin American-Statesman . Archived from the original on February 14, 2012. Retrieved August 19, 2013. ↑ Fox, Margalit (December 23, 2011). "Doe Avedon, Fashion Model and Actress, Dies at 86". The New York Times . ↑ "Cor Bakker". cyclingarchives.com. Retrieved April 1, 2019. ↑ "BOUCHER, Jean, B.A., B.C.L." Parliament of Canada . Retrieved August 19, 2013. ↑ Hevesi, Dennis (December 21, 2011). "Henry E. Catto Jr., Who Served 4 Presidents, Dies at 81". The New York Times . ↑ Al Sullivan (December 28, 2011). "The man with a thousand ideas Former Hoboken freeholder dies at 57". Hudson Reporter . Retrieved August 19, 2013. ↑ "Vaclav Havel, Czech leader and playwright, dies at 75". BBC News. December 18, 2011. ↑ "The Billionaire Who Loved Bluegrass". The Bay Citizen. December 18, 2011. Archived from the original on November 7, 2012. Retrieved August 19, 2013. ↑ nurun.com. "Evans Knowles, 97, was MP under Diefenbaker". Brantford Expositor . Archived from the original on July 28, 2012. Retrieved September 24, 2013. ↑ "Grammy-winning artist MacDonald dies at 67". Daily News . New York. December 18, 2011. ↑ "Ted Markland". thehighchaparral.com. Retrieved April 1, 2019. ↑ "Murderer Donald Neilson, the 'Black Panther', dies". BBC News. December 19, 2011. ↑ "Obituary – Professor John Rex". University of Warwick. January 3, 2012. Retrieved September 24, 2013. ↑ Schofield, Derek (January 6, 2012). "Johnny Silvo obituary". The Guardian . London. ↑ Csillag, Ron (January 26, 2012). "Brilliant biochemist was an authority on the immunology of burn injury". The Globe and Mail . Toronto. ↑ "On The Buses writer Ronnie Wolfe dies". BBC News. December 18, 2011. ↑ "Preminuo Marijan Žužej, srebrni olimpijac iz 1956". Večernji list (in Croatian). December 20, 2011. Retrieved September 24, 2013. ↑ Hannah McNeish. "Top Rebel Leader in South Sudan Killed". Voice of America . Retrieved September 24, 2013. ↑ Cura, Jaimie (December 21, 2011). "Obituary: Gerard Louis Goettel, 83, of Southbury - Obituaries - Woodbury-Middlebury, CT". Patch Media. Archived from the original on July 22, 2012. Retrieved September 24, 2013. ↑ "Addio a Luciano Magistrelli". Il Giorno (in Italian). December 20, 2011. Retrieved September 24, 2013. ↑ "Falleció Héctor "Pichón" Núñez" (in Spanish). LaRed21 FM. December 19, 2015. Retrieved September 24, 2013. ↑ "William G. Robinson, at 85, of Melrose, former state rep". Boston Herald . December 21, 2011. Retrieved October 16, 2013. ↑ "Ron Smith 1941-2011". WBAL Radio 1090 AM . Retrieved September 24, 2013. ↑ "Webb, Malach, Obituary, Death". AAGPBL . Retrieved September 24, 2013. ↑ "Robert Ader, Founder of Psychoneuroimmunology, Dies". University of Rochester Medical Center. December 20, 2011. Retrieved September 24, 2013. ↑ "Writer Hana Andronikova dies of cancer". Radio Prague. December 20, 2011. Archived from the original on December 15, 2013. Retrieved September 24, 2013. ↑ Nelson, Valerie J. (December 29, 2011). "Sean Bonniwell dies at 71; lead singer of the Music Machine". Los Angeles Times . ↑ "Howard P. Boyd". Burlington County Times . December 25, 2012. Archived from the original on January 13, 2012. Retrieved September 24, 2013. ↑ "Hugh Carless: Diplomat who explored the Hindu Kush with Eric Newby". The Independent . London. December 23, 2011. ↑ Poeter, Damon (December 22, 2011). "Xerox PARC Founder Jack Goldman Dies at 90". PC Magazine . ↑ "Deputy Minister Kambi laid to rest". The Daily Observer . December 21, 2011. Archived from the original on September 27, 2013. Retrieved September 24, 2013. ↑ "Rev. George Lundy, former provost of Loyola University, dies at 64". The Times-Picayune . Retrieved September 22, 2014. ↑ "Award-winning Japanese director Morita dead at 61". Associated Press. December 20, 2011. Archived from the original on December 21, 2011. ↑ "Tushar Ranganath passes away". www.filmibeat.com. Retrieved September 22, 2014. ↑ "Reckord completes the final act". Daily Gleaner . Retrieved September 22, 2014. ↑ "Zmarł Leopold Unger (1922 - 2011)". Gazeta Wyborcza (in Polish). December 21, 2011. ↑ "Olympian footballer Varadaraj passes away". Deccan Herald . Retrieved September 22, 2014. ↑ "Opera singer Václav Zítek dies aged 79". Czech Radio. December 20, 2011. Archived from the original on January 4, 2012. ↑ "Clyde Stalcup Bloomfield". Arkansas Democrat-Gazette . Retrieved September 22, 2014. ↑ "Bishop Francis Leo Braganza, S.J." Catholic-Hierarchy.org . David M. Cheney. Retrieved January 21, 2015. ↑ Kennedy, Randy (December 21, 2011). "John Chamberlain, Artist of Auto Metal, Dies at 84". The New York Times . ↑ "PK Iyengar, nuclear scientist, dies at 80". The Times Of India . ↑ "Alastair Maitland, 95, had worked British Foreign Service". New Milford Spectrum. Retrieved September 22, 2014. 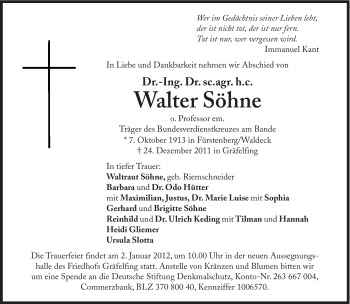 ↑ "Werner Otto Obituary". Associated Press. Retrieved September 22, 2014. ↑ "Olympiamitalisti Olavi Rokka kuoli". Iltalehti (in Finnish). Retrieved September 22, 2014. ↑ "Dynamo mourn legendary goalkeeper Yevhen Rudakov". FC Dynamo Kyiv. December 21, 2011. Archived from the original on June 6, 2014. ↑ "Abbots Langley celebrates the life of former Herts wicketkeeper Bob Simons". Watford Observer . Retrieved September 22, 2014. ↑ "Alasdair McDonnell pays tribute to ex-chairman Jonathan Stephenson". BBC News. December 23, 2011. ↑ "Morreu na Alemanha o pianista brasileiro Roberto Szidon" (in Portuguese). ParanáOnline. Retrieved September 22, 2014. ↑ Greg Oliver (December 21, 2011). "Umanosuke Ueda - Professor Ito - dies at 71". Canoe.ca . Retrieved September 22, 2014. ↑ "Bishop Jean-Pierre Urkia, M.E.P." Catholic-Hierarchy.org . David M. Cheney. Retrieved January 21, 2015. ↑ "Per Berlin" (in Swedish). Swedish Olympic Committee. Archived from the original on May 6, 2014. Retrieved September 22, 2014. 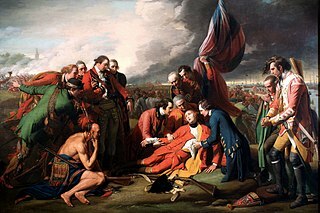 ↑ "L'écrivain Richard Bessière est mort". Midi Libre (in French). Retrieved September 22, 2014. ↑ "Emanuel Bosák, former IAAF Council Member, passes away". International Association of Athletics Federations. January 6, 2012. Archived from the original on January 8, 2012. Retrieved September 22, 2014. ↑ "LPGA Tour founder Danoff dies at 88". thv11.com. Archived from the original on January 13, 2012. Retrieved September 22, 2014. ↑ Weber, Bruce (January 6, 2012). "William Duell, Puckish Character Actor, Dies at 88". The New York Times . ↑ "Former Arkansas State, Tulane Coach Dies". KPLC. December 23, 2011. Archived from the original on December 8, 2015. Retrieved September 22, 2014. ↑ "[visionlist] In Memoriam: Michael von Grunau". Computer Vision News. Retrieved September 22, 2014. ↑ "India news: Former Test cricketer Vasant Ranjane dies aged 74". ESPN Cricinfo. December 22, 2011. Retrieved September 22, 2014. ↑ "Bishop Rogelio Sánchez González". Catholic-Hierarchy.org . David M. Cheney. Retrieved January 21, 2015. ↑ Barnes, Mike (December 25, 2011). "Marion Segal Freed, Film Editor, Dies at 77". The Hollywood Reporter . ↑ "Zithulele Sinqe dies in crash". Sport24. Archived from the original on October 21, 2013. Retrieved September 22, 2014. ↑ "Ernest Alfred Watkinson". The Globe and Mail . Toronto. December 27, 2011. ↑ "Merrill Kenneth Albert, Esq". La Jolla Light. Retrieved September 22, 2014. ↑ "Actress Denise Darcel dies". Variety . January 10, 2012. ↑ "Another Latics legend leaves us – RIP Neil Davids". This Northern Soul. December 26, 2011. Archived from the original on January 26, 2012. ↑ "Oud-wegracer Cees van Dongen overleden". Eindhovens Dagblad (in Dutch). Retrieved September 22, 2014. ↑ "First woman UNH president identified as Bedford accident victim". New Hampshire Union Leader . December 24, 2011. Retrieved September 22, 2014. ↑ "Bill Klatt, who excelled for Gophers and Fighting Saints, dies at 64". Star Tribune . Retrieved September 22, 2014. ↑ "Publisher's Corner: Francis Nigel Lee Obituary". Nordskog Publishing. December 23, 2011. Archived from the original on December 8, 2015. Retrieved September 22, 2014. ↑ "Writer Tripuraneni Maharathi passes away". NDTV . Retrieved September 22, 2014. ↑ "Former Deputy Aydin Menderes Passes Away". Journal of Turkish Weekly. Anadolu Agency. December 24, 2011. Archived from the original on January 12, 2012. ↑ "Մահացել է լեգենդար հայ ըմբիշ Նորայր Մուշեղյանը" (in Armenian). Retrieved September 22, 2014. ↑ Syed Nahas Pasha (December 23, 2011). "Abdur Razzak passes away". Bdnews24.com. Archived from the original on May 28, 2012. Retrieved September 22, 2014. ↑ "RSL firebrand Ruxton dies aged 85". ABC News. December 23, 2011. Retrieved September 22, 2014. ↑ "Monte Tozzi Obituary - Day and Deremiah-Frye Funeral Home - Bloomington IN" . Retrieved September 22, 2014. ↑ "Bishop Armando Giuseppe Brambilla". Catholic-Hierarchy.org . David M. Cheney. Retrieved January 21, 2015. ↑ "Addio a Sergio Buso Tecnico gentiluomo". La Repubblica . Retrieved September 22, 2014. ↑ Sherri Kolade (December 26, 2011). "Former Flint Councilwoman Peggy R. Cook dies at 73". The Flint Journal . Retrieved September 22, 2014. ↑ "Muere obispo de Parral". El Heraldo de Chihuahua (in Spanish). December 25, 2011. Retrieved September 22, 2014. ↑ "Chapel Hill". The News & Observer . Chapel Hill, North Carolina. Archived from the original on July 22, 2012. Retrieved September 22, 2014. ↑ "A legend leaves the stage: Johannes Heesters, 1903-2011 - Alan Nothnagle - Open Salon". Salon. Archived from the original on April 23, 2013. Retrieved September 22, 2014. ↑ "Marvin I. Knopp". Levitt-Weinstein Memorial Chapels & Cemeteries. December 24, 2014. Archived from the original on April 26, 2012. ↑ "Meghalt Mary Zsuzsi – fotók legemlékezetesebb fellépéséről" (in Hungarian). Híradó. December 25, 2011. Archived from the original on January 7, 2012. ↑ "Jody Rainwater, bluegrass pioneer, radio personality dies at 92". Richmond Times-Dispatch . Archived from the original on February 4, 2013. Retrieved September 22, 2014. ↑ "Death Notice Of John Nathaniel ROSS, Enniskerry, Wicklow, Ireland" . Retrieved September 22, 2014. ↑ "Former WABC host Samuels dies at 69". Daily News . New York. December 25, 2011. ↑ "Dr.-Ing. Dr.sc.agr. h.c. Walter Söhne". ↑ "Российская Шахматная Федерация - Новости" (in Russian). Russian Chess Federation. Archived from the original on January 20, 2013. Retrieved September 22, 2014. ↑ "Journalist Bocca dies". La Gazzetta del Mezzogiorno. December 26, 2011. Retrieved September 22, 2014. ↑ "Texas Teen Ben Breedlove Posted Powerful Videos Before Christmas Death". ABC News . Retrieved September 22, 2014. ↑ "Daily Mirror columnist Sue Carroll dies after cancer battle". BBC News. December 26, 2011. ↑ "Adrienne Cooper, Yiddish Singer, Is Dead". The Jewish Daily Forward . December 26, 2011. Retrieved September 22, 2014. ↑ "Maverick, mentor, maestro: Theatre legend Satyadev Dubey passes away". Hindustan Times . Archived from the original on January 3, 2013. Retrieved September 22, 2014. ↑ "Mourners say farewell to Bishop Tom, 'innovator' and champion of the west". Irish Independent . Archived from the original on February 17, 2013. ↑ "Death Notice Of Sean FRENCH, Schull, Cork, Ireland" . Retrieved September 22, 2014. ↑ "John Fulbeck Obituary - Custer Christiansen Mortuary-Covina - Covina CA" . Retrieved September 22, 2014. ↑ Driss Mohammed (December 26, 2011). "Décès de Habib Galhia, premier Tunisien médaillé olympique" (in French). Tunisie Numerique. Archived from the original on May 26, 2012. Retrieved September 22, 2014. ↑ Bernstein, Fred A. (December 26, 2011). "Andrew Geller, Architect, Is Dead at 87". The New York Times . ↑ Andrea Nemetz (December 29, 2011). "Arts Community mourns loss of writer-actor Gigeroff". The Chronicle Herald . Halifax, Nova Scotia. Archived from the original on January 18, 2012. ↑ "Darfur rebel leader killed in military offensive, says Sudan". The Guardian . London. Associated Press. December 26, 2011. ↑ "Roger Jowell". NatCen Social Research. December 2011. Archived from the original on January 11, 2012. ↑ "Top book man dies suddenly". News24 . Retrieved September 22, 2014. ↑ François Pomarède (December 26, 2011). "Décès de Christophe Laigneau ancien joueur de l'ATAC". L'Est-Éclair (in French). Archived from the original on January 12, 2012. ↑ Daniel Namosuaia (December 27, 2011). "State funeral for late Sir Moses". Solomon Star . Archived from the original on June 16, 2012. ↑ "Obituary - George Robb". Tottenham Hotspur F.C. December 26, 2011. Archived from the original on January 11, 2012. Retrieved September 22, 2014. ↑ Matalin Dóra (December 27, 2011). "Elhunyt Schmidt Ferenc" (in Hungarian). NOL Mworks. Retrieved September 22, 2014. ↑ Sweeting, Adam (December 27, 2011). "Jim Sherwood obituary". The Guardian . London. ↑ "About Simms Taback - Biography". Simms Taback website. Retrieved September 22, 2014. ↑ "December 2011" . Retrieved September 22, 2014. ↑ "Ex-New England Patriots standout Houston Antwine dies at age 72". ESPN . Retrieved September 22, 2014. ↑ "Mexican Actor Pedro Arendariz Jr. Dies in New York from Cancer". HispanicallySpeakingNews.com. Archived from the original on January 3, 2013. Retrieved September 22, 2014. ↑ "Former Karnataka Chief Minister Bangarappa dies". NDTV . Retrieved September 22, 2014. ↑ "Former 'SNL' writer Joe Bodolai dead of apparent suicide". Los Angeles Times . December 27, 2011. ↑ "Sean Collins". The Daily Telegraph . London. December 29, 2011. ↑ Douglas Marau (December 28, 2011). "Former DMP dies". Solomon Star . Archived from the original on June 16, 2012. ↑ "Obituary: Professor John Howie, academic who helped reform Scottish education". The Scotsman . Retrieved September 22, 2014. ↑ "［ライフ］日本を代表する建築家、菊竹清訓氏が死去　８３歳　建築運動「メタボリズム」をリード" [[Life] architect representing Japan, 83-year-old Mr. Kiyonori Kikutake, died building exercise lead to 'Metabolism']. Sankei Shimbun (in Japanese). January 5, 2012. Archived from the original on April 30, 2012. ↑ "Barbara Lea, jazz singer: 1929-2011". Shiraz Socialist. Retrieved September 22, 2014. ↑ "Wilhelm Noller (1919 - 2011)" (in Portuguese). Luftwaffe 39-45. Retrieved September 22, 2014. ↑ "Rest in Peace, Sam Rivers (9/25/23 – 12/26/11)". FMN :: Funk Music News. Retrieved September 22, 2014. ↑ Kerry Wills (December 28, 2011). "James Rizzi dead at 61". Daily News . New York. ↑ Weber, Bruce (December 29, 2011). "Constantine Sidamon-Eristoff, Environmental Advocate, Dies at 81". The New York Times . ↑ "Frank Bourke". australianfootball.com. Retrieved April 1, 2019. ↑ "Cate dies in car crash". New England Soccer Today. Retrieved April 1, 2019. ↑ "thebahamasweekly.com - Sir Clifford Darling, The Bahamas 4th Governor General passes at 89". The Bahamas Weekly. Retrieved September 22, 2014. ↑ "Professor Sir Michael Dummett". The Daily Telegraph . London. December 28, 2011. ↑ Glueck, Grace (December 27, 2011). "Helen Frankenthaler, Abstract Painter, Dies at 83". The New York Times . ↑ "Julia Sampson Hayward, Tennis Champ of the 1950s, Dies at 77". Corona Del Mar Today. December 28, 2011. Archived from the original on September 24, 2013. Retrieved September 22, 2014. ↑ "Rusty Hevelin (1922-2011)". Locus online. December 27, 2012. Retrieved September 22, 2014.